It was not Rick Porcello’s (30 GS, 201 IP, 3.31 ERA, 3.56 FIP, 3.4 fWAR) day. He didn’t have his command and the Royals put pressure on him early and often, bouncing him afer 3.1 innings, nine hits, four runs, two walks, and one strikeout. The Tigers got one back on a Kinsler home run and another on an extremely rough error by Moustakas in the 4th. The bullpen did solid enough work, allowing just one additional run but the Tigers couldn’t get to Guthrie before the Royals unleashed their three-headed monster and they managed to salvage the finale of the three game series. The Tigers will head home with a 1.5 game lead in the division with the Royals likely to lose the suspended game tomorrow afternoon. That means the magic number is effectively six with seven full games to play. Kyle Lobstein (4 GS, 27.2 IP, 3.58 ERA, 3.96 FIP, 0.3 fWAR) is slated for Monday. The Moment: Hardy strikes out Gordon to avoid disaster in the 4th. If you’re here, you’ve likely been exposed to our series on pitcher wins and why we want to kill them. It’s become a pretty big topic of conversation around baseball and some people are calling for a cease fire because the win has been repeatedly slaughtered to the point that we’ve probably violated the Geneva Convention. So, I’ll make sure to avoid overdoing it because apparently #KillTheWin is sabr-bullying. If you’re new to the cause, check out the groundwork for why wins are a terrible statistic and then enjoy The Nine Worst Wins from 2013 (as of Sept 13th). So the methodology is quite simple. Below are the pitchers in 2013 who have earned a “win” sorted by the lowest Win Probability Added (WPA). 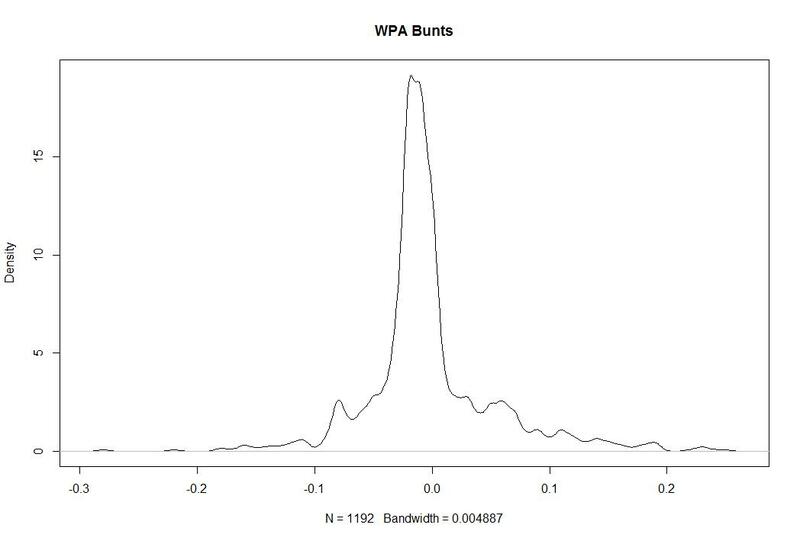 What WPA does is measure how much the team’s likelihood of winning changed as a result of every play and assigns that value to the pitcher and batter who took part. It’s not a perfect stat for measuring a player’s performance but it works for our purposes here for a simple reason. If a pitcher’s team scores 10 runs in the first inning, that pitcher can pitch poorly and get a win, but most of the pro-win alliance thinks that’s okay. They believe in something called “pitching to the score” which has been shown to be fiction. So in order to make the point clearly, I’ll use WPA which is entirely dependent on context. If you’re up 10, you’re allowed to give up 5. If you’re up 1, you better not give up two. There are other ways to do this, but I think this is the most valuable way to do it given the audience still in need of persuasion. To date, there have been 282 wins in which the pitcher had a negative WPA in 2013. Above you’ve seen the nine worst including Fujikawa having just about the worst performance I could imagine in a win using this method. In fact, as far back as we have WPA data, it’s the 14th worst such win. It looked like this! That’s pretty bad. This is all by way of saying that wins aren’t a useful statistic and that even if we allow for the idea of pitching to the score, we still have a ton of ridiculous wins every season. If every win was handed out perfectly the rest of the season, we would still have seen 11.6% of the wins in 2013 go to pitchers who hurt their team’s chance to win. Something I’ve always found interesting is that pitchers get to deduct unearned runs from their ERA but they don’t get to deduct runs from their ERA when their defense doesn’t make an easy play that they should have. 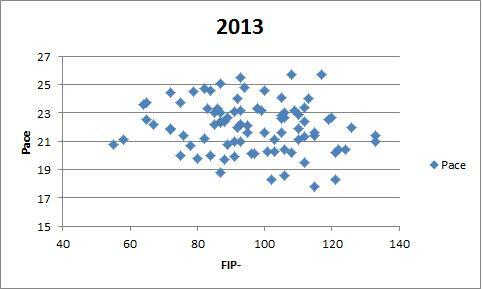 In the past, I’ve highlighted more advanced ways to demonstrate to measure a pitcher’s value that factors out defense like FIP, xFIP, and others and I’ve also pointed out why this distinction between ERA and Runs Allowed/9 is a little bit arbitrary. Below, for no other reason than to think about something we almost never think about, are the pitchers who have allowed the most unearned runs in 2013 and the pitchers who have allowed the highest percentage of their runs in an unearned run fashion (min 50 IP). I think it’s important to think about this because we all agree that a pitcher isn’t responsible for every run he allows, but he also isn’t without blame for all of them either. 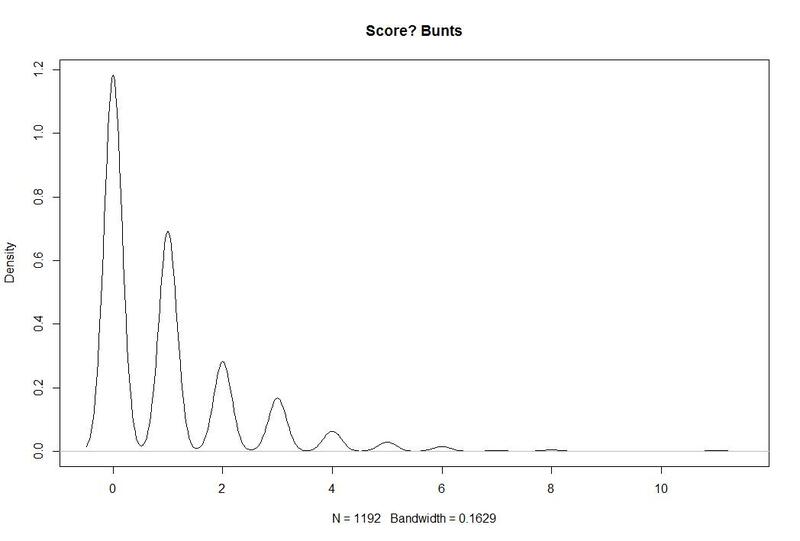 Earned and unearned runs are the traditional line we draw, but there is nothing that meaningful about such a boundary. These runs count against the team and plenty of unearned runs aren’t the pitcher’s fault. When we talk about postseason statistical titles or when we break down numbers, we often talk about performance among qualifying players. For hitters, this means among players who have had 3.1 PA or more per each team game. Over the course of 162 games, that works out to just over 502 PA in a season. But players who don’t reach that threshold can still be valuable and I’d like to highlight some of the best. Here are the basic rules. First, this is since 1962 when both leagues went to the 162 games schedule and I’ve dropped out all seasons with labor stoppages. I’ve also rounded down to 500 PA just for simplicity and because sometimes a team plays 161 or 163 games or whatever. Don’t get caught up the technicalities. Below are The Nine best ranked by WAR with the recognition that defensive numbers are pretty imprecise when we go back beyond the last 10 or so seasons. All of these, as you would expect feature players who came very close to qualifying. Should you be curious Justin Morneau’s 2010 season of 4.9 WAR is the highest on the list among players who had fewer than 400 PA.
That’s a long headline but a simple topic. Which pitchers have increased their average time between pitches the most this year? Below I will present the The Nine pitchers with the largest increases from 2012 to 2013 among those who have thrown 100 innings in both seasons. I will also provide some descriptive stats about the entire sample because for whatever reason, I find “Pace” to be very interesting. Pace is housed over at FanGraphs and here is a link to the current rankings. 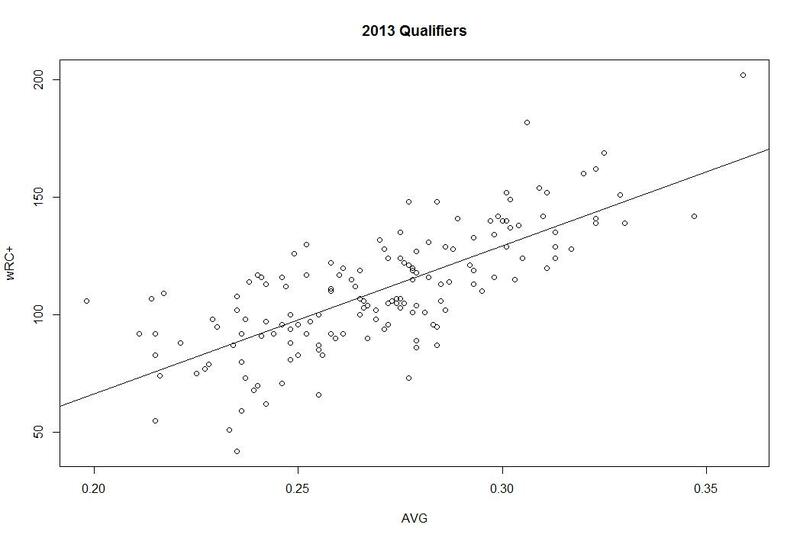 For 2013, the slowest qualifying starter is Jeremy Hellickson who takes 25.7 seconds between pitches. RA Dickey is the quickest at 17.8, with league average at 22.6. You can see that Pace is pretty consistent and that last year’s pace is a pretty good predictor of this year’s pace with an r squared of .72, meaning that about 72% of the variation in 2013 Pace can be explained by 2012 pace. Below are the players who most buck that trend. 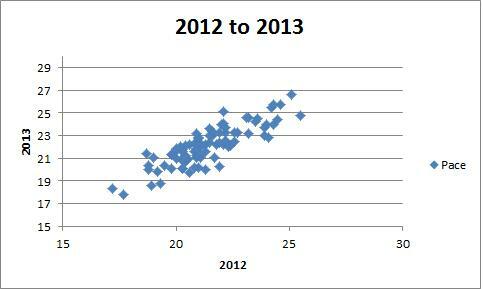 Positive numbers indicated an increase in 2013 over 2012. For example, Anibal Sanchez’s K/9 is up 2.1 and his FIP is down 1.19. What’s interesting is some pitchers who have slowed down have improved and some have gotten worse. Some have added Ks and BBs, some have cut both, and some have gone in opposite directions. Pretty much, this doesn’t seem very useful in predicting performance. Oh well, I’m still going to pretend it matters. It matters to fans, at least. Here are New English D we like to dig below surface stats and discover the complete value of players. This post will illustrate that using a player’s value on the bases. Earlier this year we published a piece on the Tigers’ value on the bases that explained a number of baserunning statistics, most notably for our purposes here, UBR and wSB. wSB is a very simple stat that calculates the run value of stealing a base and getting caught. To calculate it you multiple a player’s SB by .2 and their CS by about -.38 and then scale that number based on league average so that a wSB of 0 is set to league average. Here’s the full formula from FanGraphs. UBR is a little more complicated but carries the same principles of turning advancing on the bases into run values that deviate from a league average of 0. Here’s how FanGraphs explains it. 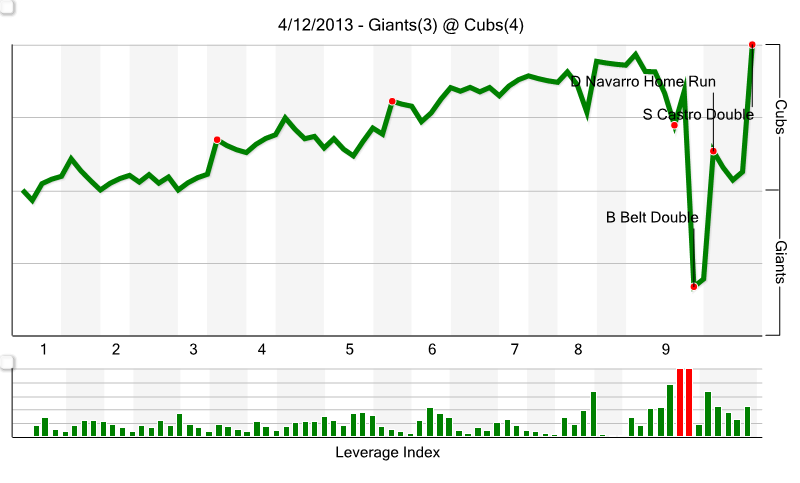 The basic premise of both stats is that taking an extra base is almost always less valuable than getting thrown out is costly. You want to advance on the bases, but you REALLY don’t want to be thrown out. Below are The Nine Best Baserunners from 2013 who have negative value when it comes to stealing bases and positive value when it comes to running the bases when the ball is in play. For me, these are the most underrated baserunners because their stolen bases numbers aren’t good, but the rest of their numbers are great. Stats are for qualifying players entering games on August 17th. This list has a variety of different players on it. First, we have a couple of players who steal a decent number of bases but get caught too often for it to be worth it (Blance, Bourn, Dozier). We also have players who have decent speed but don’t run very often for a number of reasons (Cespedes, Crawford, Jackson). But we also have guys who aren’t know for their wheels but do a great job taking extra bases (Byrd, Carpenter, and Votto). Votto and Carpenter really stand out to be because you would never think of them as good baserunners, in fact, some might call them “base-cloggers” because they get on base a lot and aren’t fleet of foot. It turns out they are very good baserunners who simply don’t get any credit because they don’t steal bases. Carpenter and Votto are actually above average baserunners overall despite their inability to steal. They also happen to be great hitters and fielders, so that’s a nice combination. What this list tells you is that baserunning is not as simple as speed and stolen bases. Slow guys who don’t steal can add a lot of value if they have good instincts and read the ball well off the bat. Additionally, this is a good example of why advanced stats can be helpful. The basic baserunning stat (SB) would completely ignore most of these players and we would have no idea that they are so valuable. If nothing else, this should cement how fantastic Joey Votto is at baseball. The headline covers most of what the following post will be. But I’ll make a few quick points. Baseball is fun and it’s a lot of fun to follow along and interact with people on Twitter about it. The following list has a few rules. First, these are not people you follow for news. Ken Rosenthal breaks lots of stories, but this list is about people who you follow because of their interesting commentary, not their ability as a reporter. Current players are also not eligible. Second, the account doesn’t have to reflect a person but it can’t be an entity like MLB or ESPN. Three, I’m not listing anyone I have a professional affiliation with. It wouldn’t really matter because this is a fun list and I can’t imagine anyone finding a way to profit from this, but it just felt more ethical. Finally, these accounts are being judged only by baseball tweeting. No points for your literature or food tweeting. Both quality and quantity are considered. Just like “Whose Line Is It Anyway?” everything is made up and the points don’t matter. No Trout, BryceH, Machado, MHarvey in postseason. But yes on Punto, ReedJ, DonKelly, Arroyo so we're good. Law is pretty popular for his “snark” and hilarious ability to retweet people who don’t know the difference between your and you’re, but he’s worth a follow because he provides solid baseball commentary in most cases and it well informed on prospects. Mostly, his invention of #umpshow is reason enough. This is the designated Twitter account for pointing out hilariously off base baseball commentary. Kenny: "How is Scherzer better than Kuroda?" Reynolds: "Scherzer's better." Kenny: "But how?" Reynolds: "I'm not gonna sit here and say how"
This is a great play on MLB Trade Rumors. Their only failure is that they don’t tweet often enough. BREAKING: Pedroia finalizes extension, is immediately suspended for remainder of 2013 season based on first three letters of last name. Simon posts a ton of statistical breakdowns and tidbits and is great about looking into advanced data for followers. Cameron is the managing editor of FanGraphs and is just an excellent baseball analyst. I like that the Rangers and A's are going to have to change all their signs again because TEX borrowed a utility player for a few days. These guys tweet when something hilariously predictable happens. Must follow. let me guess: slider away in the dirt? RT @eman6542 @CanPredictBall Hamilton strikes out chasing. Kenny is the mainstream media’s sabermetric champion and does a nice job providing commentary and taking people to task for not opening their minds. Sullivan makes excellent observations about baseball, but is also supremely funny and always tweets what I’m thinking about national writers who tweet silly rumors. They tweet when unpredictable things happen, which is just about the best thing about baseball. The Rays sold out a game.